They said multiple teams of the central probe agency raided locations in Jamtara district and adjoining areas as part of the evidence gathering exercise in this probe. The agency had registered an Enforcement Case Information Report (ECIR). The Enforcement Directorate (ED) on Thursday conducted searches at 5 locations in Jharkhand in connection with the first-of-its kind cyber crime money laundering case in which conmen based in a remote town of the state robbed gullible people of their hard-earned money by making cheat phone calls, officials said. The premises of at least four people, named as accused in the ED FIR, at five places are being searched, they said. The agency had registered an Enforcement Case Information Report (ECIR), the ED equivalent of a police FIR, last month as part of its first-of-its kind criminal case aimed to choke cyber banking fraudsters. It had filed as many as three ECIRs against Pradeep Kumar Mondal, Yugal Mondal and Santosh Yadav and their associates whom the agency has charged with have conned numerous people in the last few years by obtaining their vital banking information over phone (called 'vishing' in cyber terminology) after posing as bank officials. These banking crimes perpetrated over phone and using stolen e-database has seen a phenomenal rise in the last few years prompting banks to ask their customers not to share their personal account details with anyone. "It is alleged that these people and their associates, sitting in the remote town of Jamtara, siphoned off huge amount of money of bank account holders and have amassed assets worth about Rs 1 crore each. The state police has registered multiple FIRs against them. "The ED has now taken over cases under the PMLA in order to choke finances and freeze tainted assets of these conmen," a senior official had told PTI. 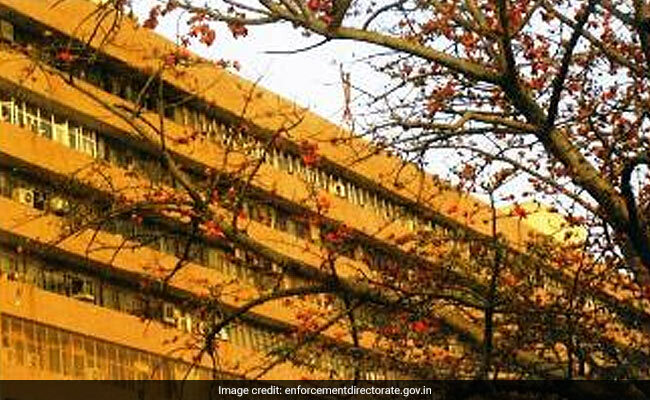 The ECIRs are the first of their kind for the ED as they have been registered after taking cognisance of original FIRs and the predicate offence filed under the Information Technology (IT) Act and sections of the IPC. The ED complaint stated that these alleged conmen and their associates used to "make random calls to bank account holders" residing in any part of the country and threatened them that their accounts would be suspended if they did not share their confidential banking credentials. "On getting the customer PIN/OTP after conning the account holder they would siphon off the money to e-wallets connected with some account that they had created with banks using fake KYC details. "These cyber banking scamsters allegedly used wallets of different banks to purchase various items or withdraw the stolen money," the ED found as part of its investigation before filing its criminal complaint under the Prevention of Money Laundering Act (PMLA). The agency found that these people used to operate bank accounts which they had opened using the identities of other people and used to transfer the stolen money into them. "They were using various SIM cards which they used to dispose of after committing the crime and making calls to victims by introducing themselves as officials belonging to banks and regulatory bodies like the RBI and SEBI among others," the official had said. The ED took over the case after it found that the modus operandi of this criminal act had its root in the remote and far-flung areas of Jharkhand which are traditionally known to be backward. "Being the epicentre of such crimes, Jamtara, a small town in Jharkhand, has earned the sobriquet of being the 'cyber crime capital of India'. Scamsters based in few of its neighbouring locations like Giridih, Dumka, Deoghar among others are also fast catching up with these e-crimes. "This brings disrepute to the entire state," he had said. The notorious story of Jamtara and its adjoining areas was also highlighted by Union Home Secretary Rajiv Gauba some time back when at an event here in May he said that more than half of India's cyber crimes are being committed by fraudsters from an "obscure place" called Jamtara in Jharkhand. The 1982-batch IAS officer, whose cadre state is Jharkhand, had said that this town in Santhal Pargana region has become the "underbelly" of digital India due to the notoriety it received as the country's cyber crimes hub. The home secretary had said the region was know for petty criminals and thugs and earlier their modus operandi was drugging train passengers, looting them, stealing coal, other minerals, because the region is mineral-rich.